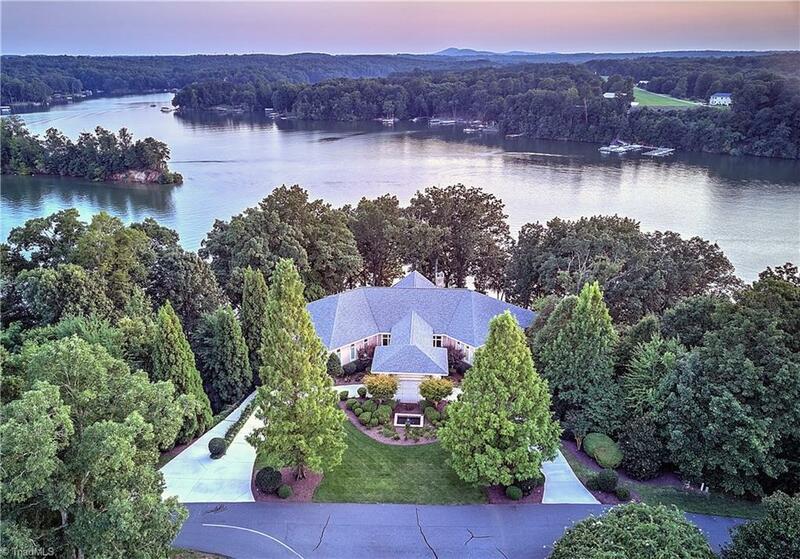 Perched above beautiful Lake Norman sits a gated Windemere Island paradise. Frank Lloyd Wright inspired estate features unrivaled lakeside glass walls for admiring main channel sunset views. Exquisite finishes incl. 8ft solid cherry doors, TN fieldstone accents, custom cabinetry/millwork. Entertain on covered terraces, al fresco dining & waterfront spa. 2 master suites, elevator, game rm & 2-tier dock w/sun deck. Min to LKN State Park, 40mi to Charlotte, 1hr to Winston Salem NC. An ideal serenity awaits!